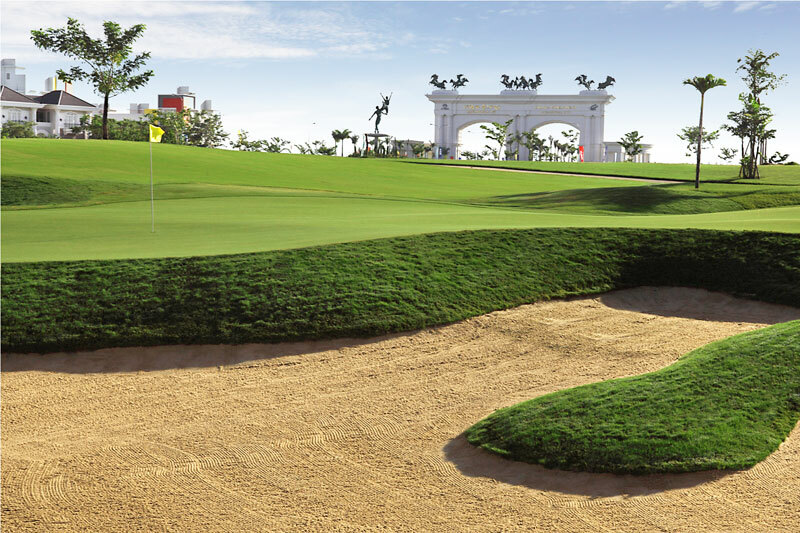 Grand Phnom Penh Golf Club is a private members club and part of the Grand Phnom Penh International City. 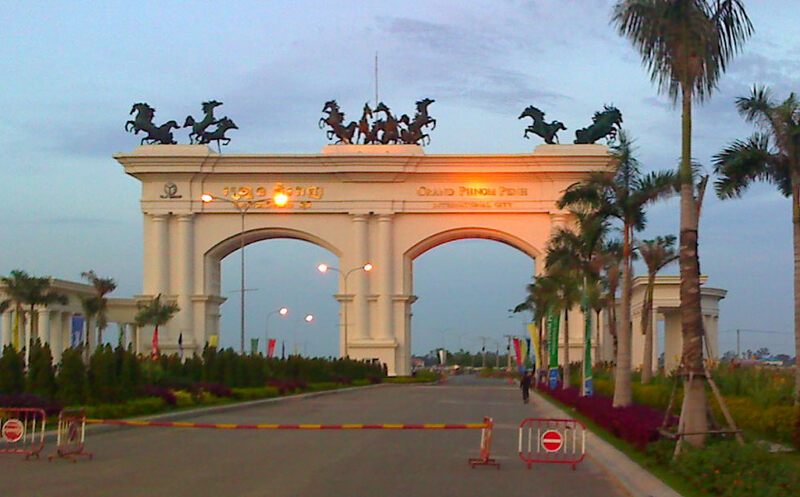 The golf course is located 20 minutes northwest of Phnom Penh and on the way to the airport. 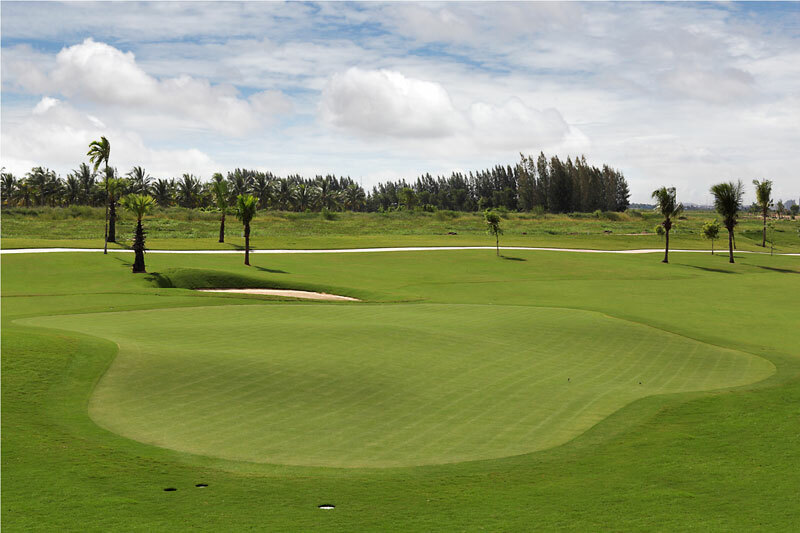 With little development away from the city, the air and climate tend to be fresher and well-suited for golf. 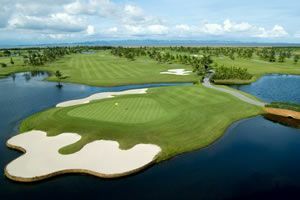 Jack Nicklaus designed grand Phnom Penh Golf Club. 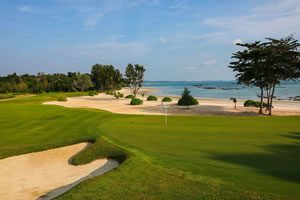 The 7,914-yard course is one of the best maintained in Phnom Penh with immaculate fairways and manicured undulated greens. 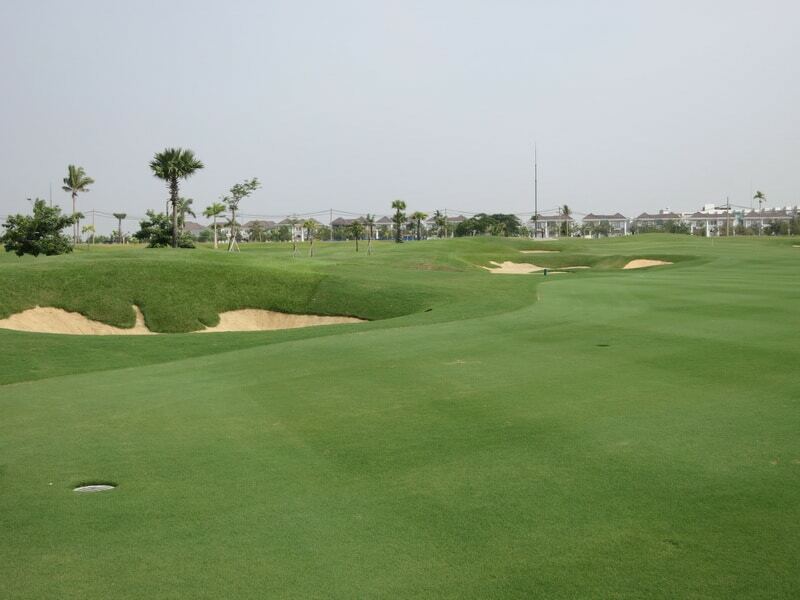 The fairways are very wide, but significant earth-moving and mounding are featured around all the greens. 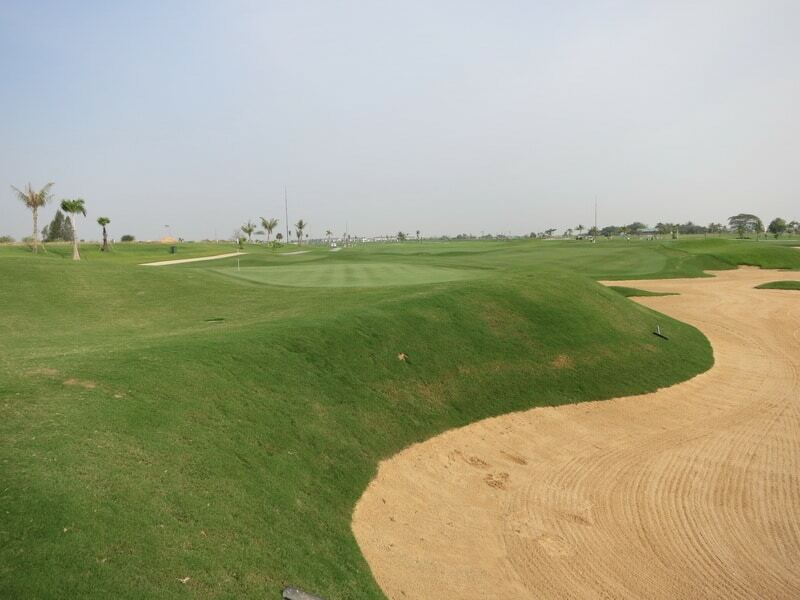 The course is also relatively exposed, so wind, especially late in the day, can play havoc with a good score. 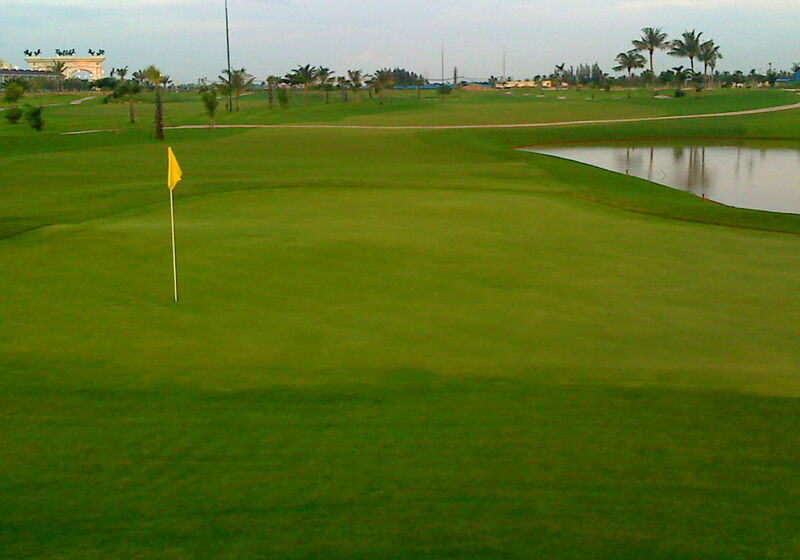 The sixteenth is a testing par-3 that requires a slight cut over water to hit the 231-yard shot to the green in one. Some may opt for driver here as the prevailing wind is often into the tee. 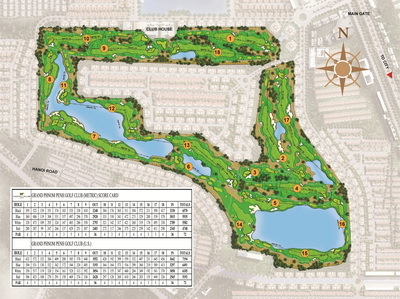 Another interesting hole is the short par-4 dogleg right twelfth. Playing only 365 yards from the back tees a wood or hybrid is the best choice to be sure to hit the center of the fairway. Bite off too much, and water is a sure thing on the right or run through the fairway into bunkers or trees, straight and left, respectively. The latter blocks the second shot to the green and guarantees a bogey or worse. 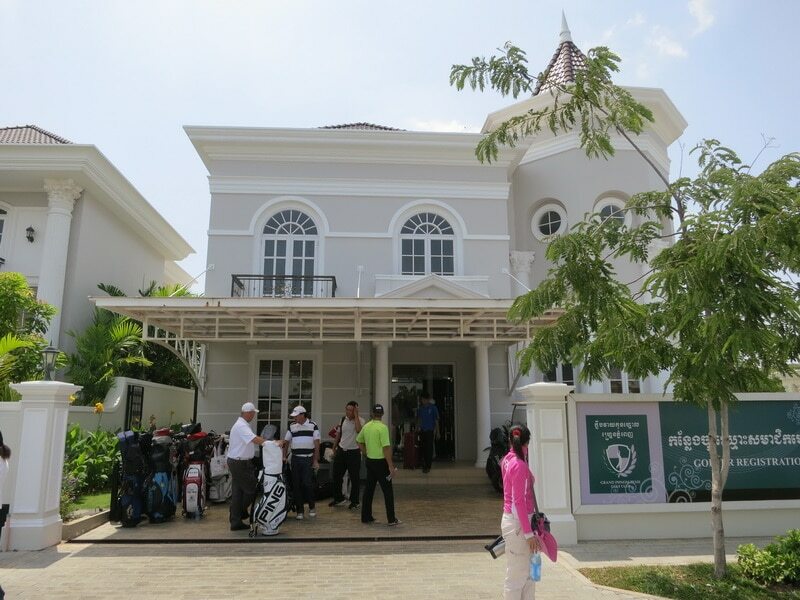 The course at the Grand Phnom Penh Golf Club is backed up by international standard facilities, and excellent service levels at the clubhouse. Caddies all speak good English and provide invaluable assistance to golfers during their rounds. As a plus, many are quite attractive too. Clubhouse facilities include locker rooms in a nearby house and an international restaurant. There is a two-story golf driving range and academy to practice at before or after any round. Be careful though; targets are in the water, so hitting on land is not an option. 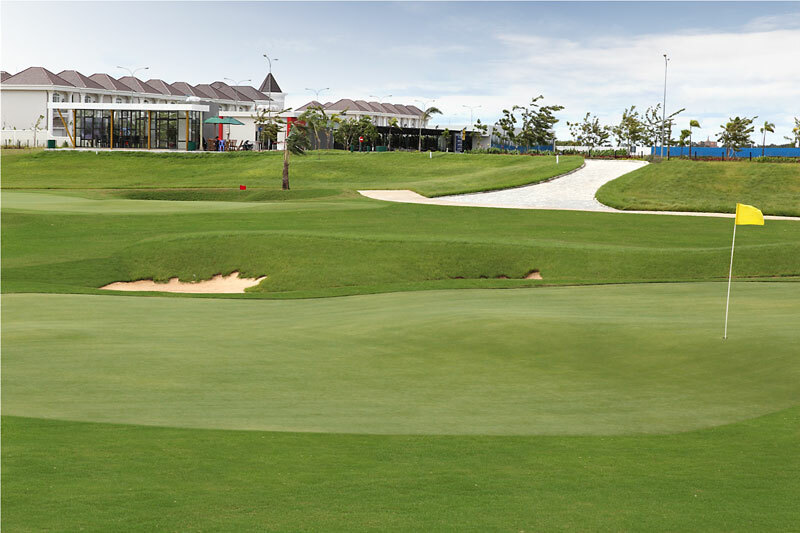 Have you played golf at the Grand Phnom Penh Golf Club and took some nice photos that you would like to share with other golfers? Send them to us and we may upload them here. Thank you in advance!